From Alia Shawkat to Kelly Ripa, beloved comedy show Broad City has tapped plenty of truly memorable guest stars. It looks like the show's third season will up the ante significantly, however, with an appearance from one Hillary Clinton. Clinton posted the above photo from the set of Broad City season 3 on her Twitter. It sees her posing with producer Amy Poehler and Broad City stars Abbi Jacobsen and Ilana Glazer. In a crude attempt to connect with millennials further, Clinton (or her Twitter account handlers) added the hashtag "#yas." 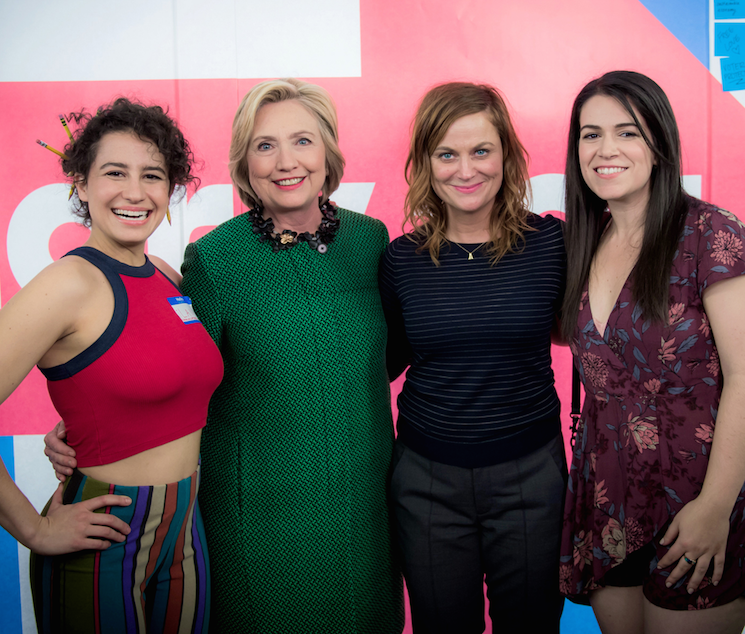 It's unclear exactly what Mrs. Clinton will do in the forthcoming third season of Broad City, but we're guessing she'll certainly appear on camera. Unless, of course, she was just stopping by the set for some craft services.